The holidays can get pretty hectic—so much so that we could all use a break well before the gift-giving begins. Many of us have several people in our lives whose hectic life doesn’t stop when the holidays end. Help them unwind (or treat yourself) this holiday season and beyond with this collection of soothing, comforting, relaxing gift ideas! 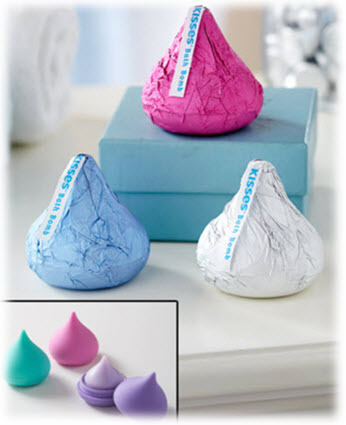 These 3-piece bath and beauty products from Hershey’s are fun to give and receive. Each bath bomb emits a tantalizing chocolate scent and changes the water color. Lip balm set offers moisturizing in 3 delicious flavors. – Bath bombs: cherry cordial, chocolate, coconut creme. – Lip balms: mint chocolate, cherry cordial, raspberry. – Hershey’s brand will be a hit with adults and kids. Feet get soothing care with this sock and lotion set. Apply the scented lotion to counter the effects of dry winter air. Then slip on the soft fleece socks. 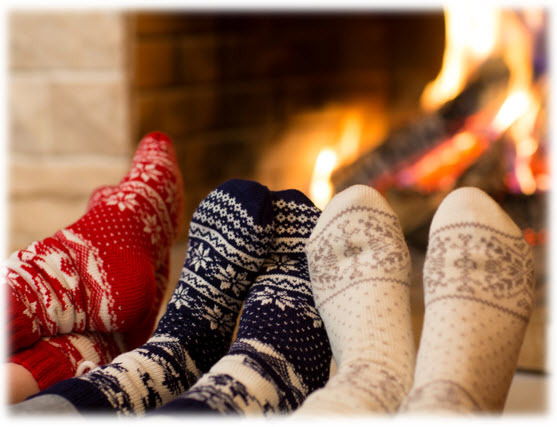 Your feet will feel warm and cozy, and you’ll feel renewed. – Fleece socks come in pretty, feminine colors. – Scented lotion keeps feet soft and moisturized. – Each set comes in a gift box for holiday giving. 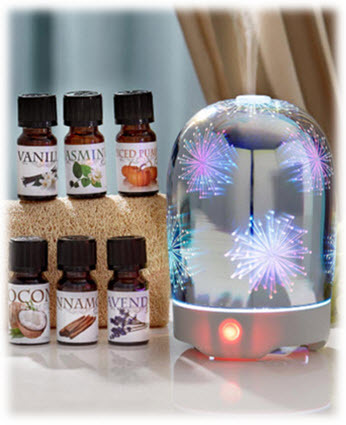 This Diffuser does more than just release fragrance. It also provides a stunning, color-changing light show with starburst effects. Use it with our Set of 6 Scented Oils, or use your own favorite oils. Either way, you’ll get a calming break that lifts your spirits. – Beautiful color-changing light show while it scents the air. – Scented oil set includes vanilla, jasmine, spiced pumpkin, lavender, coconut and cinnamon. – Provides the benefits of aromatherapy. These Healing Stones may help restore your energy and provide relaxation. Proponents believe that each stone provides different benefits—for example, Amethyst may bring peace and remove negative energy. 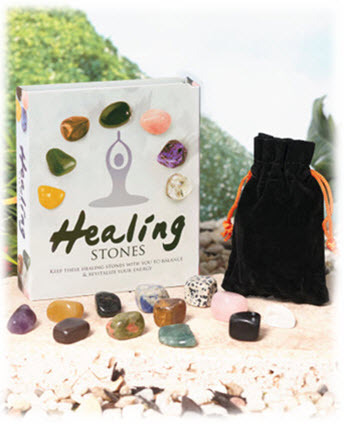 The 12 stones come in a storage pouch with a drawstring. – Includes a chart that lists the benefits of each stone. – Pouch makes them easy to take on the go. – Healing stones are sometimes used in spa treatments or during meditation. These slippers are just what weary feet need. Featuring a colorful pattern with pom-poms, they’re fun to wear, and they have slip-resistant grips on the bottom. Perfect for everyday wear around the house. 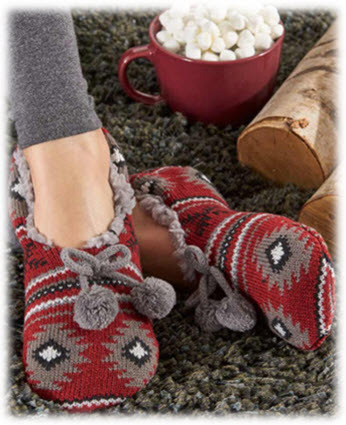 – Plush lining helps keep your feet warm. – Grips on the bottom provide slip resistance. – Comfy relief for feet at the end of a long day. 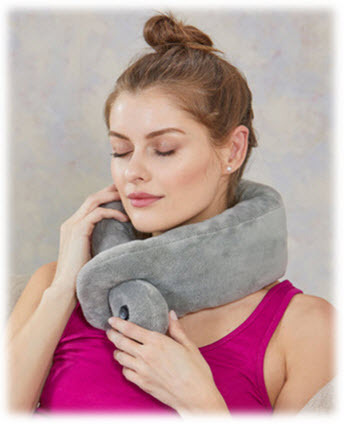 Help someone special relax after a long day with a Massaging Neck Pillow. It’s easy to use. It wraps around the neck and fastens with a loop closure. Features include two massage settings and a velvety outer covering. – Vibrating action helps ease muscle tension. – Plush fabric feels soft against the neck. – Loop closure adjusts for a perfect fit. – This gag gift will make the recipient laugh. 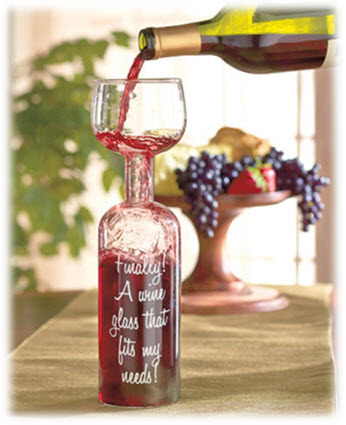 – Extra-large wine glass will be a hit at parties. 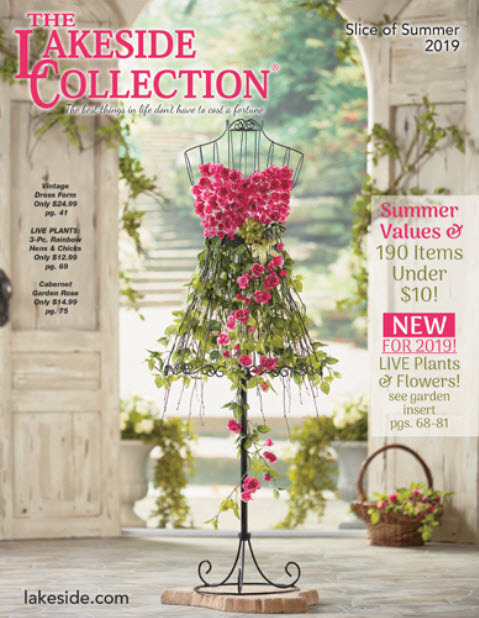 – Will stand out as a unique gift. 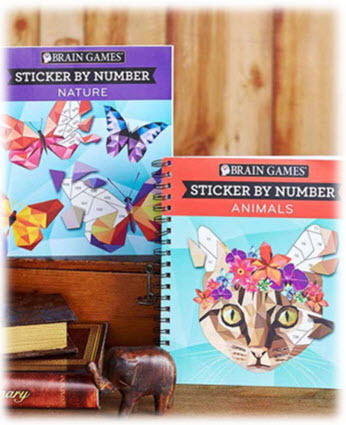 Forget your to-do list for a while, and have fun with a Sticker by Number book. Choose an image, find the stickers in the back of the book, then match the numbers on the stickers to the numbers on the image. Before you know it, you’ll complete a lovely picture and also feel refreshed. – Provides hours of fun and stress relief. – Doesn’t require messy paint, ink or colored pencils. – Easy for anyone to do. Fun as the holidays can be, all that bustle can lead to stress and fatigue. Besides getting enough sleep, try to schedule some daily downtime. To help yourself unwind, listen to your favorite music, play with your pet, take a walk, or get a massage. And don’t forget to put on your comfiest clothes at the end of the day as a cue to relax. More Ideas: Plan some holiday activities with your family that are low key. Drive through your neighborhood and vote on the best decorations. Watch a funny movie. Do holiday craft projects. Or look at old family photos (you’ll laugh at the outdated hairstyles and clothes). You’ll be surprised by how fun simple pastimes can be. The key is to take a break when you start to feel tired or stressed. You’ll still get a lot accomplished, and your holidays will be happier and healthier!